Hôtel du Globe 18, Paryż, Francja : Rezerwuj teraz! 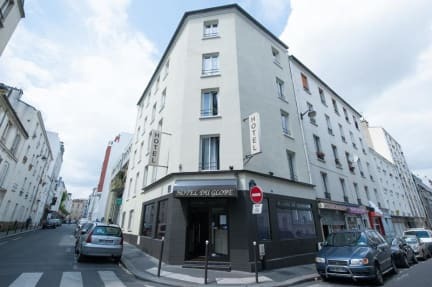 The Hôtel du Globe 18 is located in the Montmartre area of Paris. You can easily access to the Sacré-Coeur by foot at only 5 minutes from the hotel. With the metro station handily located so close by, attractions like the Notre-Dame Cathedral, the Seine River, the Louvre, and the Tuileries Gardens can be reached in under 20 minutes, and the spectacular Eiffel Tower is accessible in about 40 minutes. For restaurants, bars, and shops, you need only explore the area surrounding the hotel. 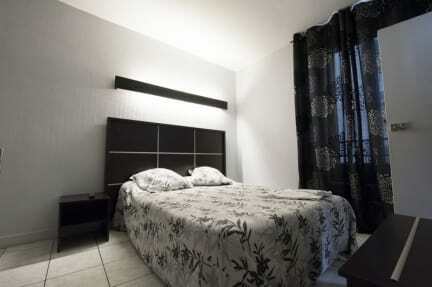 Hôtel du Globe 18 boasts 26 compact, elegant rooms, each of which is en suite and features free Wi-Fi, a TV, and heating.